We are selling a large two-room apartment with beautiful lake view in a beautiful quiet area. It breaks our heart but we need a bigger house for our growing family. The apartment features a bright living area on the first floor fitted with a custom kitchen. 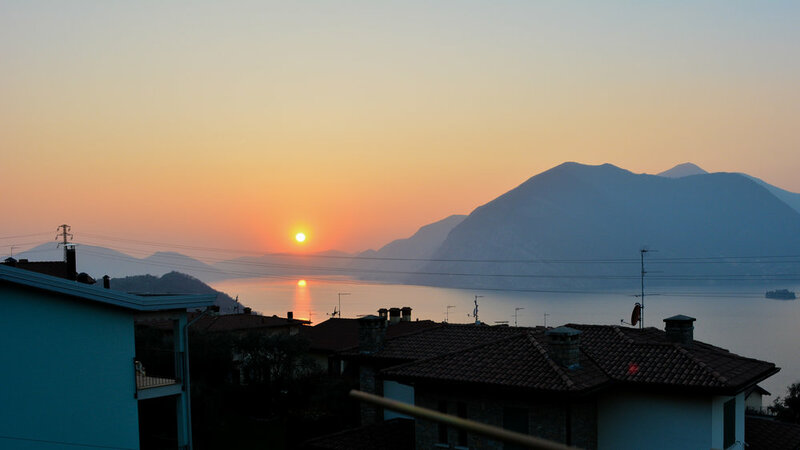 A spacious balcony overlooks Lake Iseo, Monte Isola and the surrounding mountains. There is also a bathroom with shower, sink and toilet with and an entrance area for storage and a washing machine. Both floors have large French windows, exposed beams throughout and terracotta floors. Outside is a terrace area and a vegetable garden. 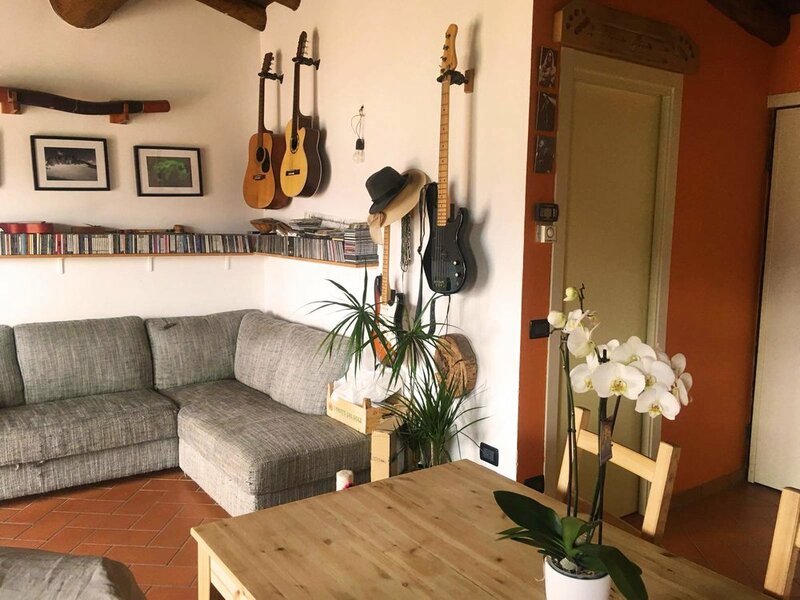 On the ground floor there is a large double bedroom, storage area under the stairs and a large bathroom with bathtub, toilet, bidet and sink. The top front door gives to a paved section of an historic Roman hiking route (Valeriana) and many forest walks. 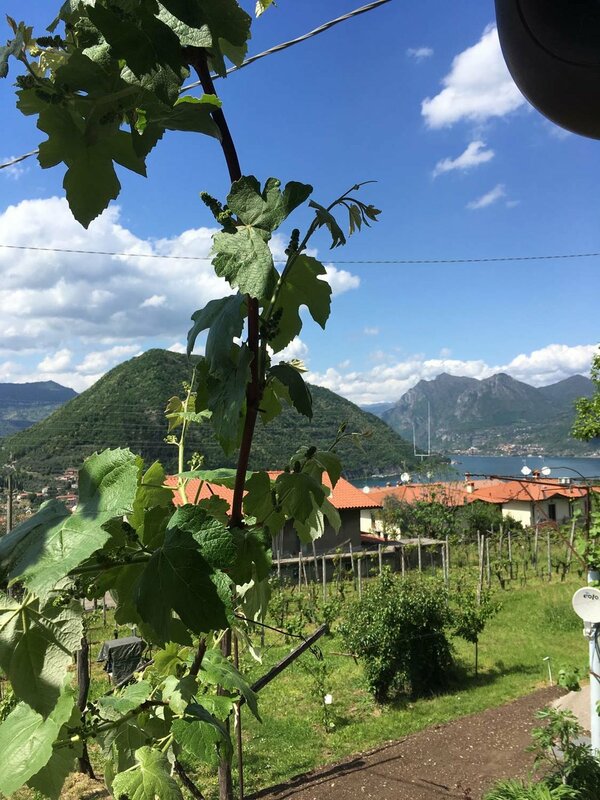 The house is two minutes away from the entrance to the main Val Camonica highway that leads up to skiing areas one way and Franciacorta’s vineyards and Brescia the other. The heating is natural gas and the solar panels for water mean no water heating is required from April to October. Do get in touch if you would like more information. The asking price is €300,000.